Salish Eagle alongside a berth at Tsawwassen Terminal, preparing for inaugural day of service. 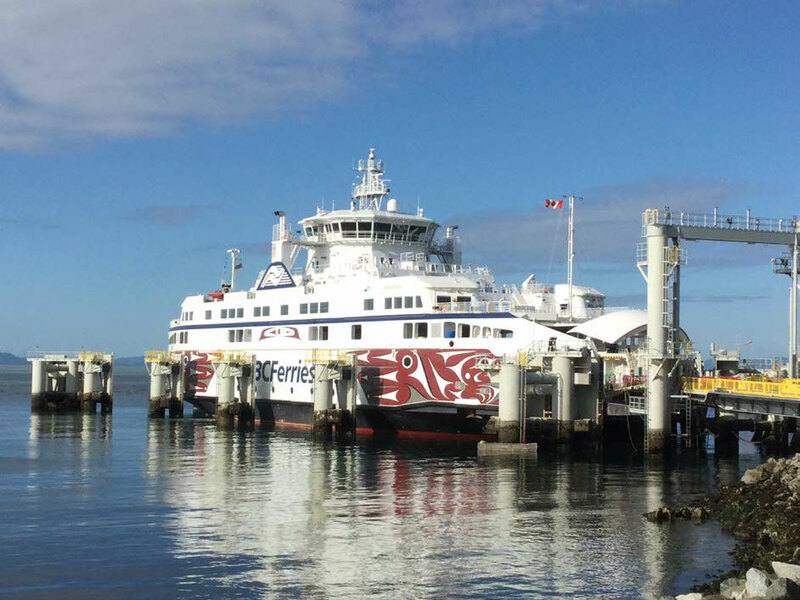 VICTORIA – BC Ferries welcomed its second Salish Class vessel, Salish Eagle, into service today with a small public event on board the 9:10 and 10:50 a.m. inaugural sailings from Tsawwassen – Southern Gulf Islands. President & CEO Mark Collins cut a ceremonial ribbon to mark the first official car on board the new vessel. Salish Eagle is the second of three new Salish Class vessels that are dual-fuel and capable of operating on either natural gas or ultra-low sulphur marine diesel. BC Ferries’ use of natural gas for these vessels will result in the reduction of an estimated 9,000 metric tonnes of carbon dioxide equivalent per year, the same as taking approximately 1,900 passenger vehicles off the road annually. Passenger amenities on board Salish Eagle include: a Coastal Café; Passages Gift Shop; comfortable lounge seating with panoramic views; children’s play area; spacious outdoor seating on an open sundeck; pet area and elevators. BC Ferries looks forward to welcoming its customers on board Salish Eagle. Under contract to the Province of British Columbia, BC Ferries is the service provider responsible for the delivery of safe, efficient and dependable ferry service along coastal British Columbia. 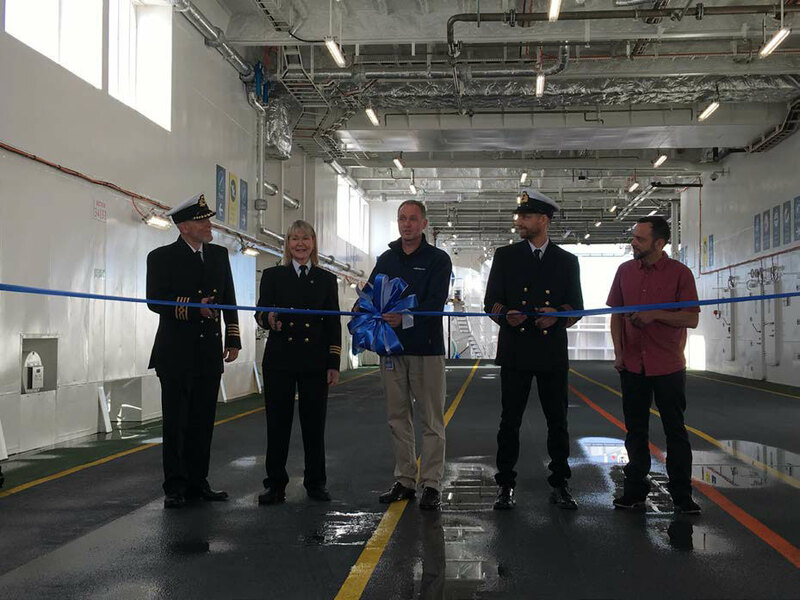 Ribbon cutting ceremony - from left to right : Senior Master Captain Derek Sweet, Senior Chief Steward Kittie Byron, President & CEO Mark Collins, Senior Chief Engineer Iain Williamson and Coast Salish Artist John Marston.